Shooting Galleries Fortnite is part of the challenges players need to complete in Fortnite Season 7 Week 10. Players are asked to get a score of five or more at different shooting galleries. Here are all the locations players can head to in-game. There are three Shooting Gallery locations in Fortnite and they are a part of a challenge in the Season 7 Week 10. The mission will require players to shoot at these Shooting Galleries in order, so it will be important to do the challenge the right way to get credit for it. 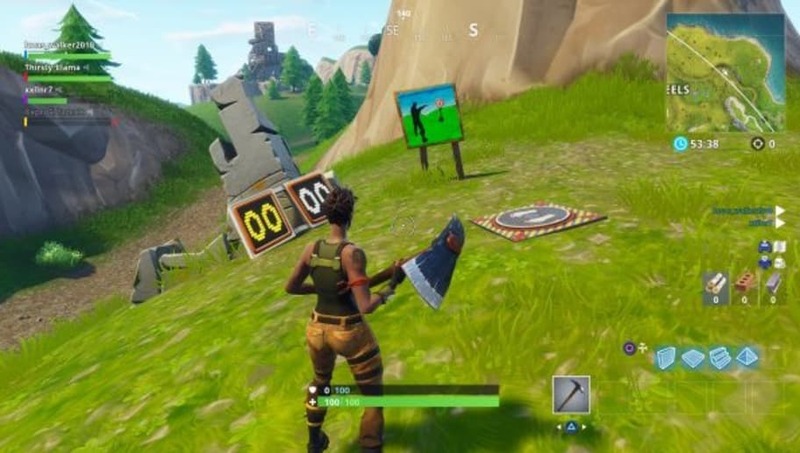 The first stage of the challenge asks players to go to the Shooting Gallery east of Wailing Woods. Players can see on the map it will be close to the edge of the map. The second stage will tell players to use the Shooting Gallery north of Retail Row. The last stage of the challenge will have players at the Shooting Gallery east of Paradise Palms. Players will have to get a score of five or higher at each of the Shooting Galleries in order to receive credit. There are other challenges fans will need to complete for this week's set of challenges.